Ancient viruses in our DNA that might cause disease – wait, what? Let’s discuss this study first. ALS (Amyotrophic lateral sclerosis) is an incurable neurogenerative disease where motor neurons gradually die, causing a person to lose most of the important functions of their body within a few years. The cause in most cases is completely unknown. There are many research groups out there studying ALS, viruses, and everything in between. Certain clues inspired this particular group at the National Institute for Neurological Disorders and Stroke to look for retroviruses in ALS patients. These clues included a discovery of “retrovirus activity” in the blood of some ALS patients, and the fact that some HIV patients suffer from nerve degeneration similar to ALS. In their research, they found that some patients with ALS had elevated levels of a retrovirus called HERV-K. This virus was found specifically in the cortical and spinal neurons in some of the ALS patients, while none was found in the healthy control individuals tested. Like most studies, this research does not yet explain the cause of ALS but does help direct further research into how ALS might be tackled. This finding is interesting for those affected with ALS because it provides a potential target for therapy. If a virus causes the disease, then drug development efforts can focus on stopping the virus. A really interesting thing about this retrovirus is that it lives in our DNA – we are born with it. It’s something called a “human endogenous retrovirus”, or HERV – and it became part of our DNA between 2-5 MILLION years ago. Let’s talk about THAT! First things first: what is a virus? A virus is basically a package of genetic material that has evolved a way to replicate itself. They aren’t considered living organisms, like other small pathogens such as bacteria, and they really are quite simple in their build (and elegant, if you ask me). How they work isn’t as simple though, and there are different types of viruses. Some have DNA, but some have RNA instead; some work by inserting themselves into your DNA (retroviruses like HIV), and some work by just using your proteins and leaving your DNA alone. The one thing they all have in common, though, is they need to take over the machinery in your cells to replicate. A retrovirus like HIV works by inserting itself into your DNA. Crazy, right? That’s why it’s so hard to cure! In this case, it is immune cells, or white blood cells, where the HIV takes residence. It’s safe from detection in there, and its genes are read in the same way your own genes are read by the cell’s machinery. What’s the difference between a retrovirus like HIV, and this “endogenous retrovirus” called HERV-K? Well, the main difference is that a person gets HIV from outside their body; but we are born with these endogenous retroviruses. An endogenous retrovirus used to be a virus like HIV that, at one point, infected a human and inserted its DNA into our ancestors’ cells. But not just any cells – in this case, it was inserted in cells of the germ line. What do I mean germ line? We have DNA (coding our genes) in every cell in our body. But the DNA that gets passed down to our kids is specifically the stuff in eggs and sperm. So, say I catch a retrovirus – it could insert itself into the DNA in some of my cells, but it can only be passed on to future generations if it inserts into the cells specifically located inside my ovaries. A virus like HIV doesn’t do that because it has an affinity for immune cells, (which is why it causes immunodeficiency). Even though these special circumstances are required, integration of retroviruses into the germ line has happened often enough throughout our evolutionary history that 1% of our entire genome is made up of these “virus fossils”. Research into endogenous retroviruses is revealing that they may play potential roles in some diseases. Aside from ALS, evidence has implicated their involvement in cancer and certain autoimmune diseases as well. On the other hand, because they have been part of our DNA (and other animal’s DNA) for MILLIONS of years, their presence has undoubtedly had a number of effects, negative OR positive – one of them being our own evolution. 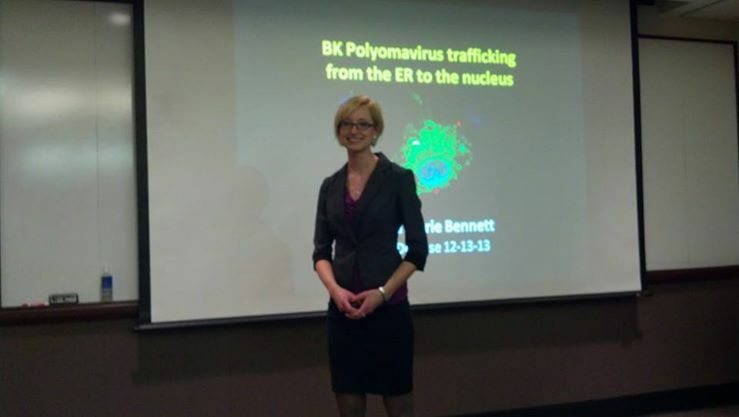 How could a virus fossil play a role in evolution? 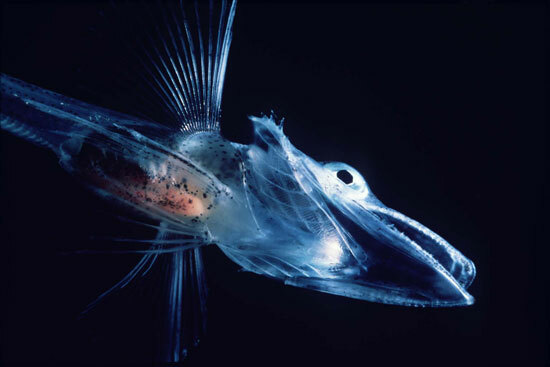 Evolution is the changing of a population of organisms to adapt to its environment. This adaptation comes about from variation within our genes – often times, spontaneous mutations that happen to allow one organism to be better off than another of its population. Because that one is better suited to the environment, it tends to survive and reproduce more, and thus its genes tend to get passed on more often. Random mutations are usually one-letter changes in our DNA code. Often these changes don’t make a difference, or they could have a slightly negative effect, or they could have a slightly positive effect, depending on where it happens within a gene. Now think about a retrovirus – this would be a whole string of DNA (a set of virus genes) inserted directly into your set of genes. Obviously this sounds like it would be bad – but could it be good? It would have to for it to play a role in our evolution, right? For this newly inserted DNA chunk to be a “bad” thing for an organism, it would have to cause early death or prevent reproduction. Otherwise, it would be passed along. As it gets passed along, mutations occur that prevent the virus from actually working like a virus anymore – which is a good thing for the organism. Let’s consider an example: evolution of the placenta. A current super-interesting model states that a retrovirus at some point in our past actually helped in the evolution of mammals about 150 million years ago. The placenta allows a developing fetus to gain nutrients from the mother by attaching to the wall of the uterus, and it does this by creating a layer of fused cells. It also protects the developing fetus, with its proteins from both mother and “foreign” ones from the father, from immune attack. Cell fusion and immune suppression are attributes common to viruses. Research into placental development in recent decades uncovered virus-like particles at the placenta interface in monkeys, and then potential endogenous retrovirus sequences, and finally the discovery of the protein, syncytin, which came from a gene within an endogenous retrovirus sequence. Subsequent studies of this protein in mice showed its vital role in embryonic development – when they deleted it from mice, the placenta did not form properly and the embryos died. How do we know that it played a role in evolution? Mammals share similar traits, like placental development, because we evolved from common ancestors and share common genes. Our genes have become slightly different over time from genes of other mammals, but they are still similar enough to recognize as the same. And, we find similar syncytin sequences in primates and other mammals. DNA sequences have more information than just who you are… they can tell us who we were, and how living things – and non-living things like viruses – are all connected. It was 2003, and a dark and stormy night. I was in my room on the phone with my best friend being a typical high schooler, avoiding my grandparents, and watching a science special on PBS. The show was “Horizon: Supermassive Black Holes.” The reason I remember that night is because we were gasping at the scientific revelations together like complete in-tune nerds. Now on Netflix, I watched it again the other day and got excited all over again about black holes, so I’m going to tell you about them. The super massive ones. Cue dramatic music. First of all, what is a black hole? A black hole is an object so dense, with gravity so strong, that even light doesn’t move fast enough to escape. In other words, the “escape velocity” from a black hole is faster than the speed of light. If we can’t see black holes, how do we know anything about them? Much of what is known about black holes is based on what is observed around these super massive dark objects, such as how fast local stars are orbiting. There are only theories about what lies at the center of a black hole. Physicists call it a singularity, and the laws of physics there don’t quite add up. Will you find a tunnel to another universe? Some crazy ball of multidimensional universe string? You would probably find crushing forces, in any case. Two kinds of black holes have been identified so far – stellar black holes and supermassive black holes. Stellar black holes are just your run-of-the-mill black holes that get featured in Star trek and movies like Interstellar. They are the result of stars that lived out their lives, then exploded and collapsed. They are usually described as having the mass of a couple of suns (solar masses). Supermassive black holes are millions of times bigger. We’re not really talking about “size” here, though, in the way you might think of it. Because we can’t see its size. All comparisons are based on its mass, which can be calculated by the way it affects the movement of surrounding matter. The first cool thing about supermassive black holes is that scientists still aren’t sure where they came from or how they formed. However, the commonly accepted theory among astronomers goes like this: in the early universe, after matter started to form into dust and gas and the universe began to cool, the matter coalesced into the first stars. These stars were much larger and burned hotter than the stars today. Consequently these giant stars burned out relatively quickly and then exploded, like stars do at the end of their life, and the matter that they expelled became other stars. The leftover star material collapsed into a giant black hole that fed on the surrounding matter. This was the interesting question of the Netflix special. It all started with research into quasars. 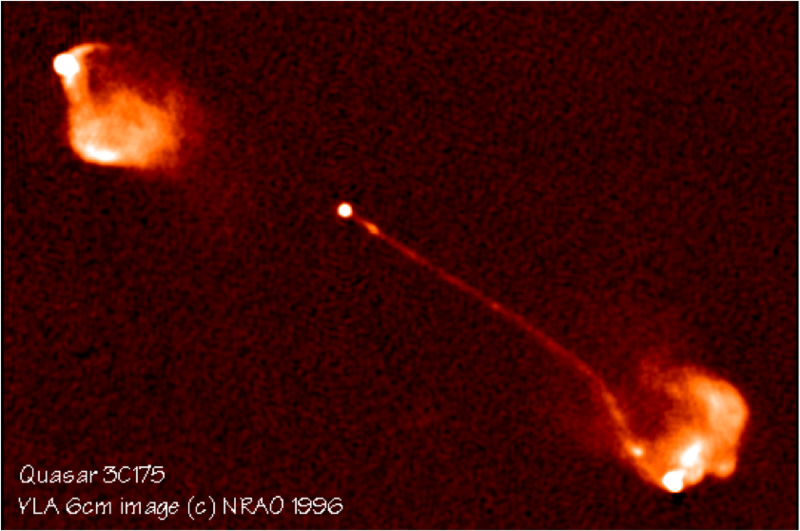 Quasars are one of the brightest objects in the universe. Originally quite mysterious, eventually astronomers determined that these amazingly luminous objects were actually located in the center of very distant galaxies. What’s more, the incredible amount of light and radiation emitted from a quasar is the result of a feeding supermassive black hole. The matter falling into the hole – like liquid down a drain – reaches speeds nears the speed of light. Because this matter moves so fast, it becomes superheated and gives off intense energy, effectively pushing away some of the matter just out of reach of the black hole’s grasp. These super energized particles shoot off in high-energy jets with a brightness that outshines all of the surrounding stars. Since “active” supermassive black holes were found to be sitting at the center of these galaxies with light-emitting quasars, scientists decided to compare these distant active galaxies with quiet, inactive galaxies to get an idea of how massive the black hole was at the center. Quiet galaxies like our own Milky Way have dark centers that astronomers assumed contained nothing of interest, which means the rotation of the stars at the center would have a predictable speed and pattern. What the scientists found, however – and cue dramatic music – was that these quiet galaxies do not, actually, have a quiet center. There was something there. Something so massive that the stars were circling the center at incredible speeds, and yet it was invisible. It could only mean one thing: there were supermassive black holes at the center of these quiet galaxies. In the heart of our own galaxy, in a region called Sagittarius A*, is giant destructive force. The more galaxies they looked at, the more evidence they found that almost ALL galaxies have supermassive black holes at their core. Where do they fit into the universe? An interesting question arose with the finding that super massive black holes reside in the center of galaxies: Why? The most fun question to ask in science is the why. It’s also usually the most complicated question to answer. Why are there supermassive black holes at the center of galaxies? One really interesting theory is that the black holes were there first, and gave rise to the galaxy. The data to support this theory is based on the speed of the stars moving around the outer edge of the galaxy. These stars are too far away to be affected by the central black hole. 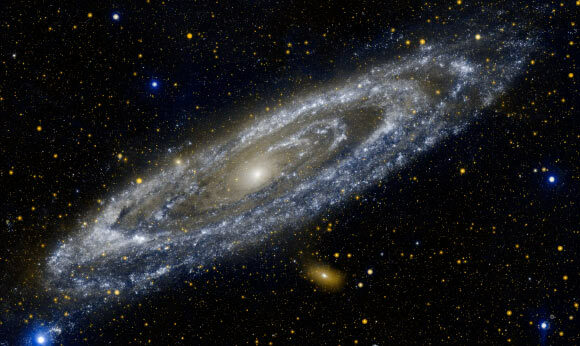 However, when measured, astronomers found the velocity of stars in the rotating galaxies to be equivalent to the velocity if the black hole was indeed influencing them. This means that at some point in the past, those stars were close enough to be affected by the mass of the black hole. The evolution of galaxies also involves explosions and collisions and a lot of other destructive cosmic events. But just think about the idea that black holes could play a creative role. These destructive monsters actually gave birth to galaxies, and within one of those galaxies the earth was born. The most terrifying, destructive force in the universe could be responsible for life, as we know it. 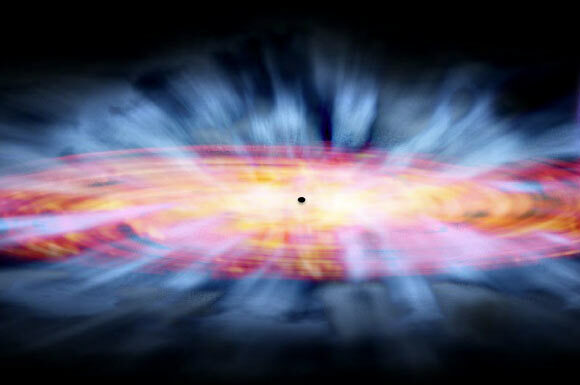 Artist’s impression of a quasar. Image credit: NASA / CXC / M. Weiss / Nahks Tr’Ehnl / Nurten Filiz Ak. 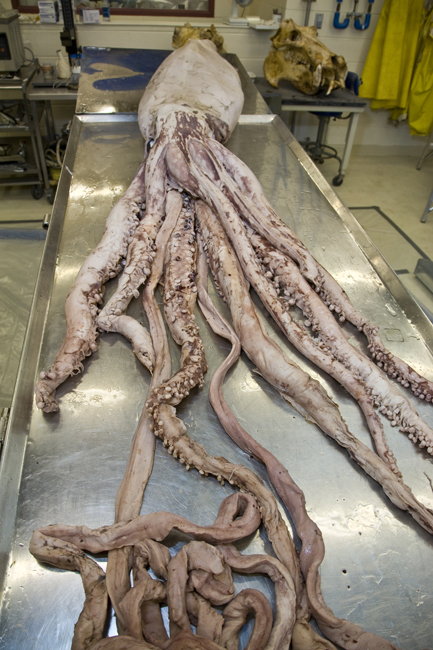 See my new article about the giant squid at The Super Fins site! Also, I highly recommend this TED Talk by one of the scientists on the expedition that filmed the giant squid under water and contributed to the special on the Discovery Channel. I am going to be writing some articles for a cool new aquatic news website called The Super Fins. Check out my first piece! “We are scientists, ask us anything!” reads the poster at the table in Small Bar in University Heights. Two friendly guys, Prithwish and Jim, greet me with smiles and enthusiasm about what questions I might have for them. I thought I detected a hint of disappointment when I brought up that I am also a scientist. 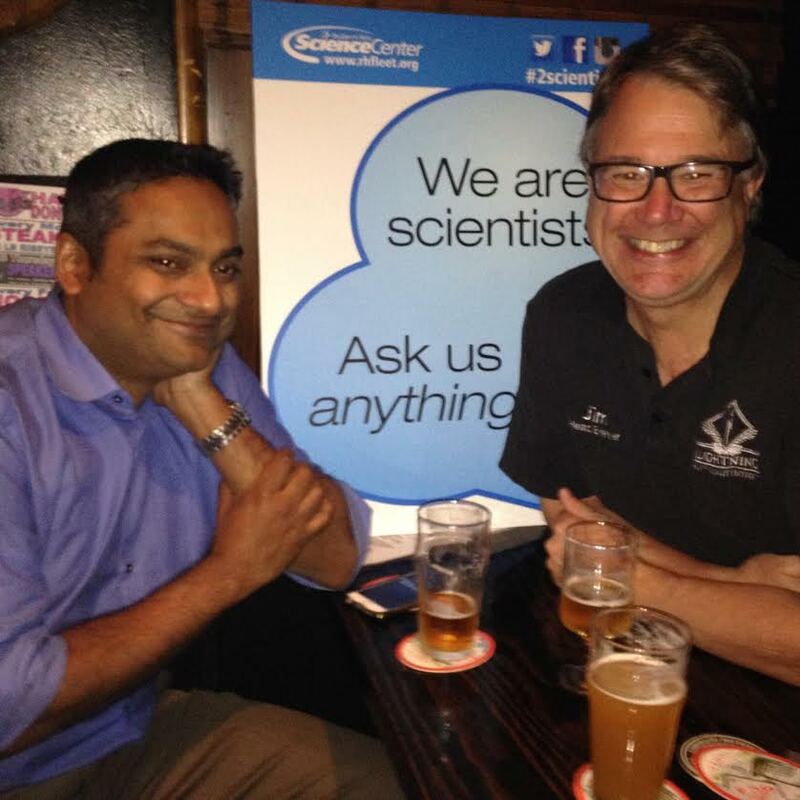 “Two scientists walk into a bar” is a community program run by the Reuben H. Fleet Science Center in San Diego, and the premise is to set up scientists at bars around the city, allowing the general public to interact and ask any questions. They have it about every six months. I was so excited when I first heard about this event, and I came to find out how it was going and what it was like. I love the idea of providing science conversation to anyone who wants to join it in a laid-back beer-buzzed environment. During my two hours at Small Bar, we scientists spent most of the time speaking with a group of four elementary school teachers who were on a “Two scientists” bar crawl. They mentioned that they like to discuss science when they go out to the bar anyway, but that they usually have a lot of questions, so this was a great opportunity to have those questions answered by scientists. They brought up what they had spoken about with the previous two scientists, asked us what we worked on, when and how we became interested in science, and at some point I started word-vomiting random stuff about virus evolution that I think is super interesting but I don’t remember how I got started on that. The teachers were very enthusiastic listeners. The other short conversation was with some twenty-somethings at the table next to us, who noticed Prithwish taking down the sign and decided to jump in quick to ask about hallucinogenic drugs and whether a zombie apocalypse could happen. I asked Prithwash what motivated him to volunteer, and he said he was excited about the chance to do science outreach for adults, since there seems to be a good amount targeted for kids. Another friend I know who participated said he was excited about it because it combined his two favorite things, beer and science. That’s definitely one reason I was interested, but I’m also excited about science communication opportunities. The Fleet Science Center has been providing a lot of cool events for kids and adults as well as local teachers. I started volunteering there because I love that they provide so much science for the community, and want to support that mission. Perhaps interactions like this between the general public and scientists will allow some communication barriers to dissolve. Often when I have told people I study science, they look at me like I have some special ability. I think the main “ability” that has led me to pursue science is the reverence I have for nature and its processes, which helps me to remember them and want to learn more. To understand anything you have to want to understand it. One of the benefits of addressing adults in science outreach events is that they have enough life experience to realize the benefits to understanding scientific concepts, especially related to health and technology and current events. Another benefit that this type of event provides is the chance to dispel “scientist” stereotypes. Maybe not the nerdy stereotype, but if there’s still a stuffy-academic stereotype out there, this event should take care of it. Most of us love getting tipsy and discussing big questions of the day. It’s what we usually do at the bar anyway. Or maybe that’s just me. But I love talking science, especially with people who want to know more about it. Events like this show me that there are a lot of other scientists out there who feel the same way. I had been daydreaming about the chance to advocate for vaccines or explain GMOs at the bar, but discussing the realistic causes of a potential zombie apocalypse was pretty fun too. Prithwish mentioned that he was also hoping for more challenging questions. But there are a lot of factors to consider, and we were in a small bar. That’s why it’s great that there were 24 other bars participating that night, with 50 total scientists, and I hope to find out what it was like at some of the other bars. The most we can hope for with any science communication event is just the chance to at least connect with people, and what better place than the pub to connect over ideas in science? I’m excited about communicating science. As an introvert, I am proud to admit I am practicing my verbal communication skills with my local Toastmasters group. They are awesomely supportive people! I wrote this for our newsletter, and thought I’d share. 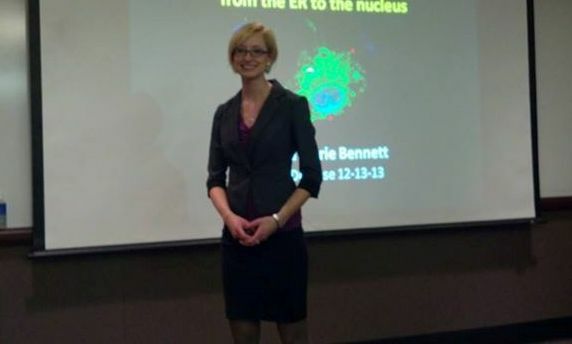 I was very jittery before my thesis defense. One of my main goals when I joined Toastmasters was to improve my confidence when speaking to people. When I spoke, I feared that people would not take me seriously and that I sounded unintelligent. It’s funny, but because I lacked confidence, it showed in my words and produced the exact outcome I feared. Since coming to this realization, I have been gathering as much information as possible to improve my confidence and presentation skills. An enormously enlightening video I came across was the TED talk from Amy Cuddy about her social psychology research on “power poses”. When we feel confident, our body language translates this feeling into making ourselves bigger. One example is when a runner wins a race and throws their arms into the air. The opposite is true when we feel ashamed or uncomfortable and we hunch up, cross our legs or our arms, and make ourselves smaller. Cuddy’s research shows that that body language can actually translate both ways – while feeling powerful leads us to making ourselves bigger, making ourselves bigger can actually lead us to feel more powerful. Featured in Toastmaster Magazine issue August 2014 and a Ted talk from 2012, Cuddy tells us “don’t just fake it ‘til you make it – fake it ‘til you become it.” She found that forcing yourself to take on a “power pose” raises your testosterone and lowers your cortisol, increasing confidence and lowering stress. Since very large “power poses” would be awkward and distracting in normal situations, Cuddy recommends doing power poses before interviews or presentations. I highly recommend Amy Cuddy’s TED talk. You can find it at https://www.ted.com/speakers/amy_cuddy. I was cognizant of a few ums and uhs since I am now a toastmaster, but otherwise her message is eye opening and her inspirational personal story really makes the talk memorable. It has been viewed more than 23 million times. And I encourage all of us, especially those without a self-confident presence, to try power posing before speeches – and to put on that confident face until we are not faking it anymore!